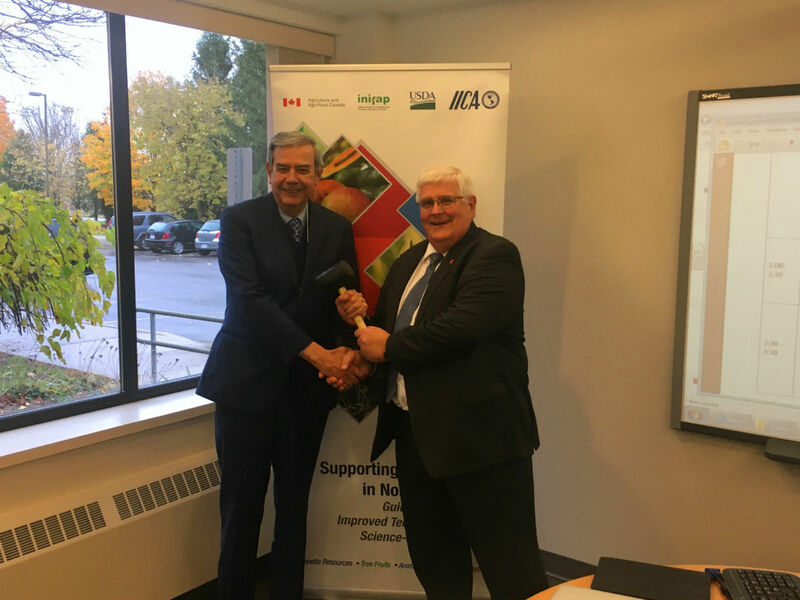 Agricultural Research bodies in Mexico, USA and Canada collaborate to strengthen Agricultural Trade. 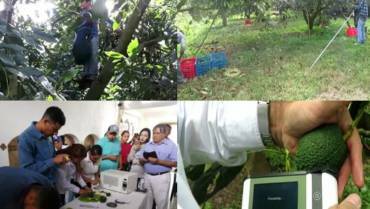 Agricultural scientists working in the areas of Genetic Resources, Animal Health, Plant Health and Tree Fruits have been collaborating on specific issues considered to be of trilateral interest to the United States, Mexico and Canada, thanks to the network PROCINORTE. Results have surpassed expectations, with at least one innovation near ready for commercialization by industry in Mexico. Other notable strides in conducting joint research on diseases affecting cattle, swine, horses and crops such as potato, tomato, corn and pepper, as well as harmonization of diagnostic methodologies have underscored the relevance and impact of the trilateral platform. This was the conclusion at the Board of Directors’ meeting recently held in London, Ontario at the Research Centre of Agriculture and Agri-Food Canada (AAFC). 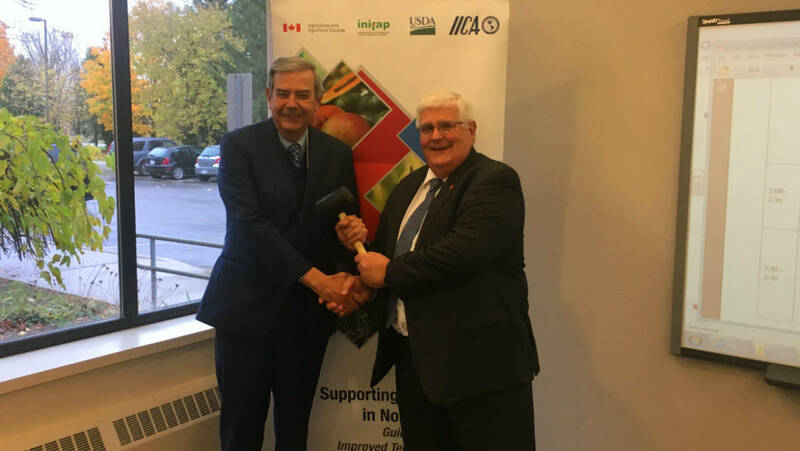 The out-going President of PROCINORTE Dr. Gilles Saindon, Associate Assistant Deputy Minister of AAFC, passed the baton to Dr. Raul Obando, Mexican Scientist of the Instituto Nacional de investigaciones Forestales, Agricolas y Pecuarias who will oversee the agreed research agenda for the next 2 years. Supported by the Inter-American Institute for Cooperation on Agriculture (IICA), the United States Department of Agriculture-Agricultural Research Station (USDA-ARS) and AAFC- Science & Technology Branch, the added benefit of PROCINORTE is its potential for strengthening agricultural productivity and competitiveness in North America, Latin America and the Caribbean.